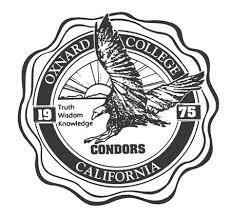 Located in Ventura County and a member of the Ventura County Community College District lies Oxnard College. It is on California̠s Central Coast and just a few miles away from beautiful beaches. Oxnard is a college that promotes high-quality education in its Associate of Arts and Associate of Sciences programs. Over sixty degree programs are offered in four divisions: Career and Technical Education; Liberal Studies; Math, Science, Health, and Physical Education; Student Services.The college also offers certificates of achievement and completion in more than 30 study areas. All courses offered at Oxnard College are accredited by the Western Association of Schools and Colleges, which speaks of the quality of the courses offered.Oxnard is a two-year college that promotes student transfers to four-year universities, both in the state of California and all of the United States. Since its foundation, Oxnard College has promoted innovation and excellence in all of its courses. The idea is not simply to educate students so that they can graduate, become professionals, and make money. Instead, the goal of the college is to make skillful, civilized men and women, leaders that will one day help change the world for the better.